By Emily Tan and [email protected] . Published on August 17, 2007. The Fader magazine and Subaru's limited-edition mix tape promotes the 2008 Impreza WRX. NEW YORK (AdAge.com) -- Remember the days before MP3s and iPods, when taping the latest radio hits and making mix tapes were the way to pass music around? Well, some of us do, and apparently so do the folks at The Fader magazine and Subaru. 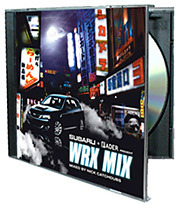 They joined together to help promote the automaker's 2008 Impreza WRX with a limited-edition mix tape. Reaching the 'man child' Although the partnership originally started with a few WRX ads in upcoming issues of Fader, both brands wanted to take the promotion a step further. Subaru, looking for unique placements, is targeting the WRX at the "man-child" -- young guys between the ages of 20 to 35 who love to go into overdrive, party into the night and enjoy the latest video games. And the magazine, whose own readership fits the "man-child" demo, was hoping to lure some of those Subaru enthusiasts. "We ended up pitching them the limited-edition mix tape," said Andy Cohn, Fader's publisher. "It's a street-style mix tape with really emerging cool hip-hop artists." Compiled and mixed by former Fader associate editor Nick Catchdubs, the CD (alas, no truly old-school cassette tape) features 20 tunes from up-and-coming artists, from dance-hall tracks such as Tony Matterhorn's "March Out" to a remixed version of Bonde Do Role's Brazilian baile funk "Gasolina." To be certain, The Subaru-Fader compilation isn't the first of its kind. 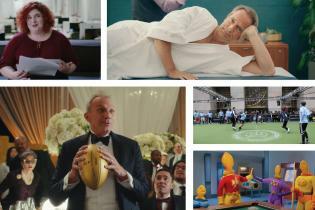 Dozens of marketers and media outlets have partnered on compilations. TV shows such as "Grey's Anatomy" and "House" have produced their own soundtracks made up of different songs that play during each episode. And retailers like Banana Republic will often whip up compilation discs they can pass along to customers at the check-out counter. So what separates this CD promotion from the rest? Mr. Cohn believes it's Fader's reputation for finding distinctive talent. The title has a "nine-year history as an ahead-of-the-curve magazine that identifies the best in new music," he said. "The Fader was the first music magazine to have Outkast, The White Stripes and Kanye West on the cover." The CD is only one part of Subaru's integrated strategy, which also included print ads, TV spots and events. Both brands wanted to use the compilation as an extension of a traditional ad campaign a new car would have. "This acts as a three-dimensional audio extension of that presence," said Mr. Cohn of the effort, which can help both parties reach out to "influential early-adopter, young-adult males." But this isn't all just about the CD. Kevin Mayer, director of marketing for Subaru, said the partnership between Subaru and Fader is an important one for the car company. "The Fader has credibility with these customers," Mr. Mayer said. "This whole street scene is an emerging trend. It's an opportunity for us to be part of this emerging trend." Copies of the limited CD -- only 2,500 were created -- have been distributed at this year's X Games 13 and will also be handed out at Subaru's Consumer Ride and Drive event on today in Arcadia, Calif. People who can't attend the event can enter Fader's CD giveaway contest on its website by revealing their favorite aspect of Japanese culture -- the theme of the CD cover. Since the mix tape's release in late July, feedback has been positive as more people find out about the CD and the new car. "I'd say it's been pretty good," Mr. Mayer said of the promotion. "The CDs are going like hot cakes. The music really resonated with people. They get it, and it appeals to them."